I wanted to give my digestive tract a rest, after my recent "food trip". I felt I needed to do a clean-up and a restart. So I decided to do a juice fast by JUJU cleanse. Lately, I've been having their salads and drinks (surprisingly very palatable) at The Podium branch for some doses of healthy food. 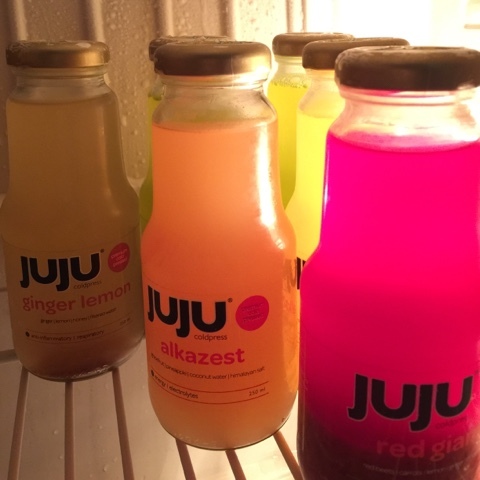 JUJU cleanse involves fresh, raw, cold-pressed juices. I read up about it, and found out that cold-pressed meant subjecting raw fruits and vegetables to high pressure, but no heat, to produce what is called HPP-- high pressure pasteurized. Compared to juice derived from centrifugal extractors which produce more heat and oxidation, cold-pressed juice preserves much of the fruit and vegetable enzymes and vitamins as it is exposed to a minimum of heat and air. The juices are pure liquid, no meat and no fiber. My digestive system can take it easy for a day and just absorb nutrients. I will be running on mostly minerals and carbohydrates. Zero fats. And very little protein, which I was a bit apprehensive about. As it is my first try, their website suggests I have their introductory level one cleanse. And since I am a busy working mother with long days, I settled for a one-day cleanse duration to make sure I can stick to it. I had 500ml of juice every 2.5 hours, from 7:30am to 8:00 pm-- six rounds of juice drinks. I took the juices slowly on their scheduled time. In between, I took in water and some hot mint tea. I never felt hungry. I didn't lose energy to work. I wasn't tempted to eat other food. No headaches, no irritability. What I endured though was feeling cold. More specifically, I couldn't stand the air-conditioned environment at work. This feeling started near noon time and it got worse towards the afternoon. What helped was when I walked around in the office, and when I went out for a brisk walk during lunch time. But in the afternoon the "chills" came back. Since I was consuming less calories, I presume my body was not burning as much fuel as before to keep me warm. Fasting slows down our metabolic rate, thus the difficulty to bear cold temperature. Less energy, less body heat. But it was tolerable, and was much easier when I stayed out of air-conditioned rooms for the rest of the evening. It was a good rest of sorts. The one-day pause made me eat lighter in the days afterwards. I just wasn't as hungry like before. Which must be good and healthy for me. I'm having another mini-break next week. 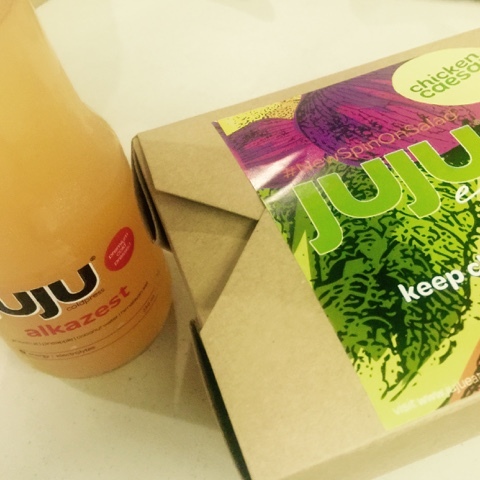 I will try the level two JUJU cleanse. I will just remember to dress more warmly, and bring layers I can add.